Our family loves a Disney vacation, especially a Disney Cruise! We had the opportunity to cruise on the beautiful Disney Wonder this year. The food, the entertainment and the magical touches that only Disney can provide makes for an unforgettable experience. Our favorite part of the week was our time with Disney Cruise Line on the Disney Wonder. This ship is freshly renovated with new places to dine, 11 decks of entertainment and pools. My kids loved seeing their favorite characters and I loved the opportunity to soak up the sun with them. It was the perfect opportunity for quality family time together. One of our favorite Disney animated movies, The Princess and The Frog, comes to life at Tiana’s Place. This dining experience is exclusive to the Disney Wonder and evokes everything great about the movie. 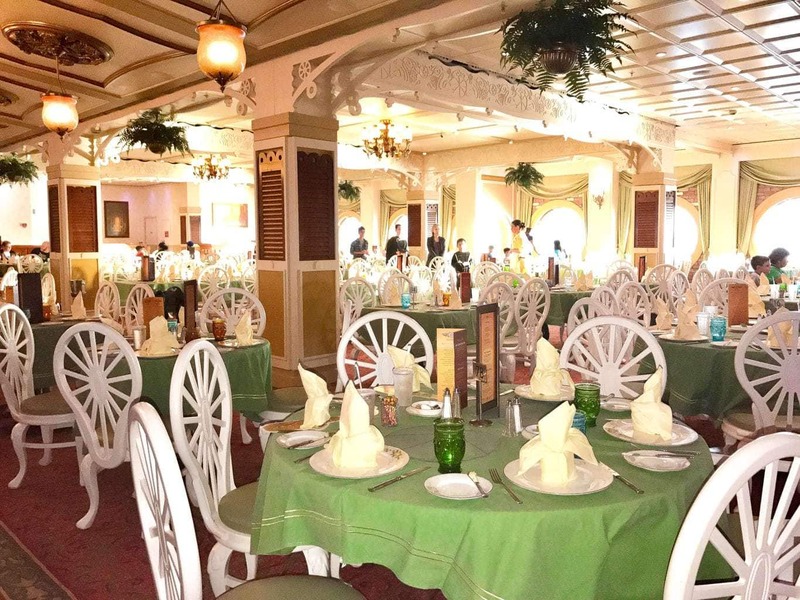 We felt like we truly stepped into Tiana’s restaurant. The New Orleans style creole cooking was full of flavor as we enjoyed the live jazz music. My girls loved have their photo taken with Tiana too. 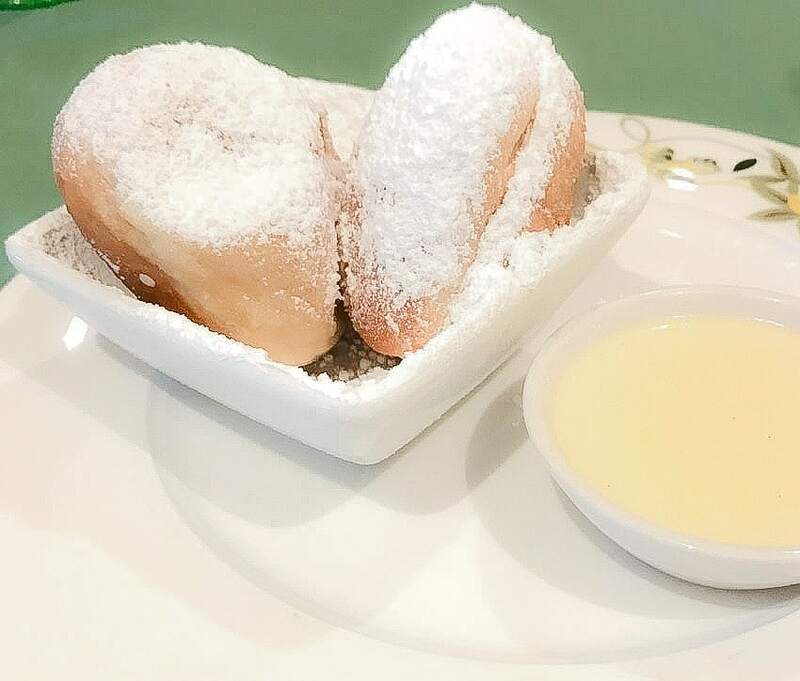 Don’t pass on trying the beignets for dessert! Another guest favorite restaurant onboard Disney Wonder is Animator’s Palate. It’s a whimsical restaurant that features classic Disney characters. We were asked to draw a picture of ourselves and by the end of our lunch, our pictures came to life on the picture frames around the restaurant. As you dine, the restaurant changes from black and white to color as you eat each course. A big favorite was the white shrimp pennette pasta. 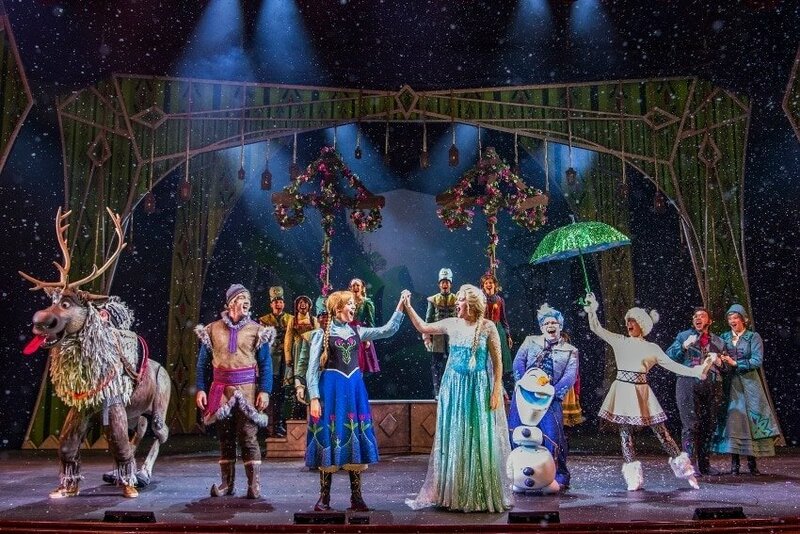 If you’re in the mood for after-dinner entertainment, “Frozen” The Musical is a must-see show. The broadway style show features all of your favorite songs from the movie. The kids loved watching the film come to life before their eyes. Olaf is always a crowd pleaser. The show includes puppetry, beautiful sets and the theater even showers the audience with a magical flurry of snow. A highlight on any Disney cruise is a stop at Castaway Cay. It’s their private island that is exclusive to Disney Cruise Line guests. After lunch, the kids enjoyed a parade and some dancing with some favorite Disney characters like Donald Duck, Mickey, Minnie and the gang! We enjoyed a leisurely family day on the sand. 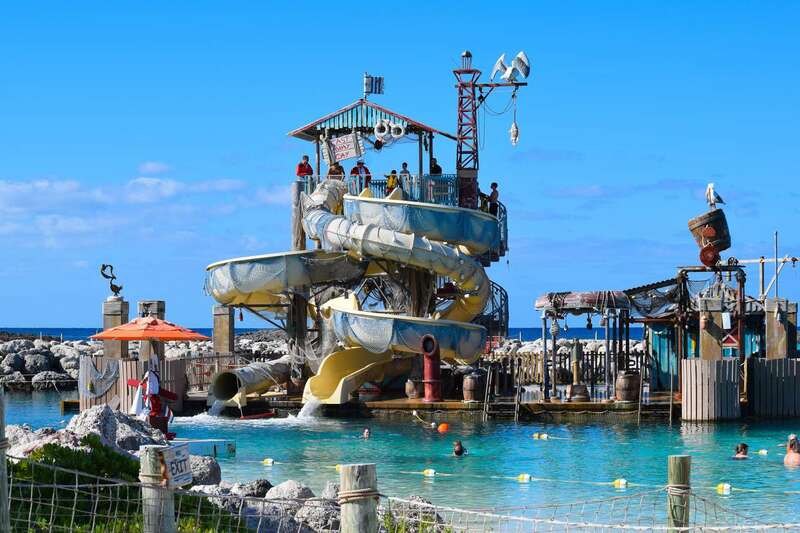 The island has sparkling lagoons, scenic walking trails, an adult-only beach and the water play features for the kids. The kids loved splashing around on the water slide at Pelican Plunge. Castaway Cay is a favorite amongst Disney Cruise Line guests and it’s as clear as the water why they love it so much. For the finale, we celebrated and dressed for the occasion in pirate style for the Disney’s Pirate Party Night. All hands on deck as we danced away through the evening with Mickey, Minnie, and all our Disney friends. This is a great time to take some photos of your favorite Disney characters. Of course, the party can’t end without Disney’s fantastic fireworks show. Our time at the Disney Social Media Moms Celebration was nothing short of magical. My girls loved joining me and it was the perfect family escape. We’ll definitely embark on another Disney Cruise soon and the land to sea vacation is an excellent way to experience all of the fun. I had the honor of attending the 2017 Disney Social Media Moms Celebration (Disney SMMC). This is my second year back but it was the first time that the event crossed land and sea – from Walt Disney World Resort to Disney Cruise Line. The entire week was full of incredible experiences, sneak peeks and family fun. This was our very first Disney Cruise so it made this trip extra special. My daughter loves Mickey & Minnie Mouse! I can’t wait until she’s a little older to travel ton Disney Wonder! I would love to take my grandchildren on this trip. My 4 kiddos would love this! My family loves cruising with Disney. Unfortunately, we do not get to go often. Thanks for sharing.